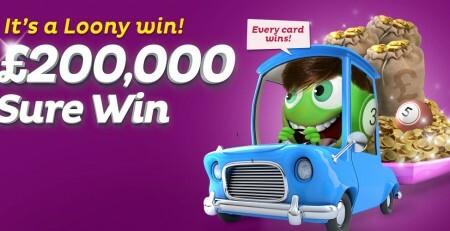 Home / Latest News & Offers / Bucky Bingo is Giving Away £450K Cash this Weekend. Grab It! Did you know that Bucky Bingo is all set to give away £450,000 cash in the last weekend of July? Well, now you do! It’s a one-of-a-kind offer. Over the course of three days – Friday, Saturday and Sunday – you will get multiple chances to play and win fantastic bingo games that feature fabulous prizes. You cannot afford to miss this event. After all, it’s worth £450K! The £450,000 weekend will run for three days over the last weekend, between 12:00 am on Friday (July 29) and 11:59 pm on Sunday (July 31). 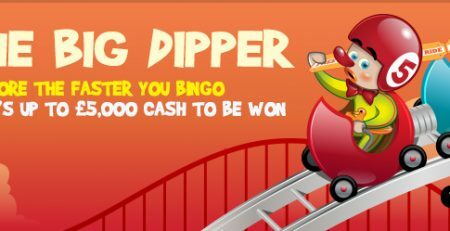 Various bingo games will be played in four different bingo rooms: the Big Money room, the Party Room, the Rainbow Riches room and the DOND room. Ticket price varies from game to game. Bucky Bingo is here with an exciting new player bonus offer. When you sign up with Bucky Bingo, you get £50 as sign up bonus. This bonus money is released to your player account after you spend a minimum £10 on bingo games within 14 days of joining. The bonus includes £30 bingo bonus and £20 games bonus. Further T&Cs apply. The party is just getting started on Bucky Bingo. Join them today and rock the party! Incredible Promotions at Posh Bingo! 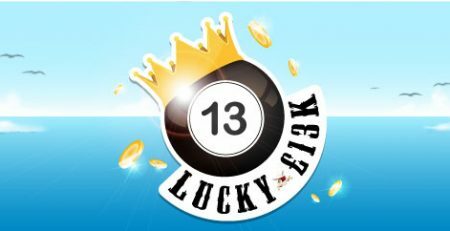 Do Try Treasure Bingo’s Friday Special “Lucky 13K” – It’s worth it!